– Applications and guidelines for Sierra Madre’s Halloween Window Painting Contest were distributed the week of September 7 and can also be picked up at the front desk of City Hall and from the YMCA at the recreation center. Please note that completed applications are due back to the front desk of City Hall by 5 PM on Thursday, October 8. Students aged 9 -17 can work in teams of up to four students of the same age group on a window design. At least one participant must be a Sierra Madre resident. Painting will be done from 2:30-6:00 PM on Friday, October 23rd and from 7:30-10:00 AM on Saturday, October 24th. Judging will follow and awards will be given by age groups at 12:15 that Saturday. 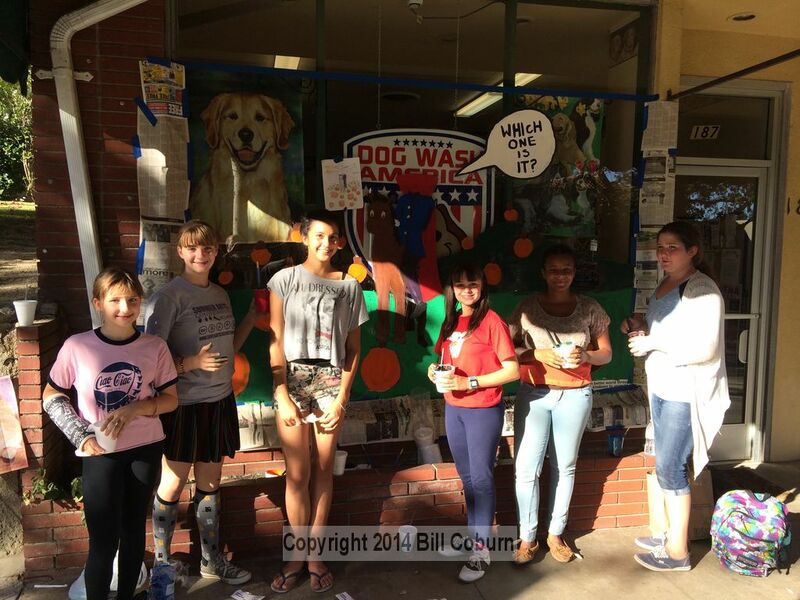 This year’s Halloween Window Painting Contest is sponsored and underwritten by the Sierra Madre Civic Club and is free to participants. Specific questions may be directed to Margaret Switzer, event chair, at 626 355-8207. We look forward to your participation in this annual event. The Sierra Madre Civic Club is a civic and philanthropic organization. We meet the second Thursday of every month at 7:30 PM in the Hart Park House. You are welcome to join us to find out the fun ways we support special events in Sierra Madre such as the Halloween window painting and how we raise money to give back to the community.